In 2008, a new method of cultivation was on the rise; a technology that we at Cogas have mastered from the start. Controlling the moisture management in a greenhouse is crucial for optimal cultivation and ensures lower energy consumption. Furthermore, a homogenous climate is desirable for the further optimisation of growth. New insights arose regarding more effective insulation of the greenhouse by means of new screen strategies. These yielded a higher humidity in the greenhouse, which could cleverly be lowered by means of air treatment. This combination of quality insulation and smart air treatment techniques allows for an enormous reduction of energy costs. Cogas is the leading specialist when it comes to air treatment technology. We were the first innovative party to develop a completely singular luxury quality product under the name of CoVent; this system heats outside air to cleverly let moisture dissipate. 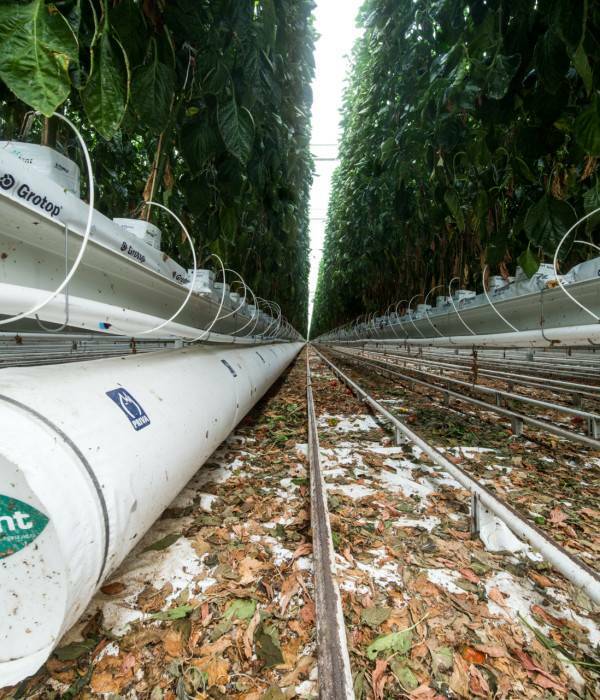 The main difference with other air treatment systems, is that we create over-pressure in order to create a homogenous climate throughout the entire greenhouse. This results in a significant cultivation quality improvement and a reduced disease burden. We are proud of this unique and sophisticated product! Depending on your situation and needs, we can of course also provide other solutions for more effective air treatment.